Barricade Fabrications: Bespoke log burners & chimineas fabricated in-house by Barricade Ltd.
Bespoke log burners & chimineas fabricated in-house by Barricade Ltd.
Barricade has decades of experience with metalwork and steel fabrication allowing our fabricators to produce some incredible, one-off products. 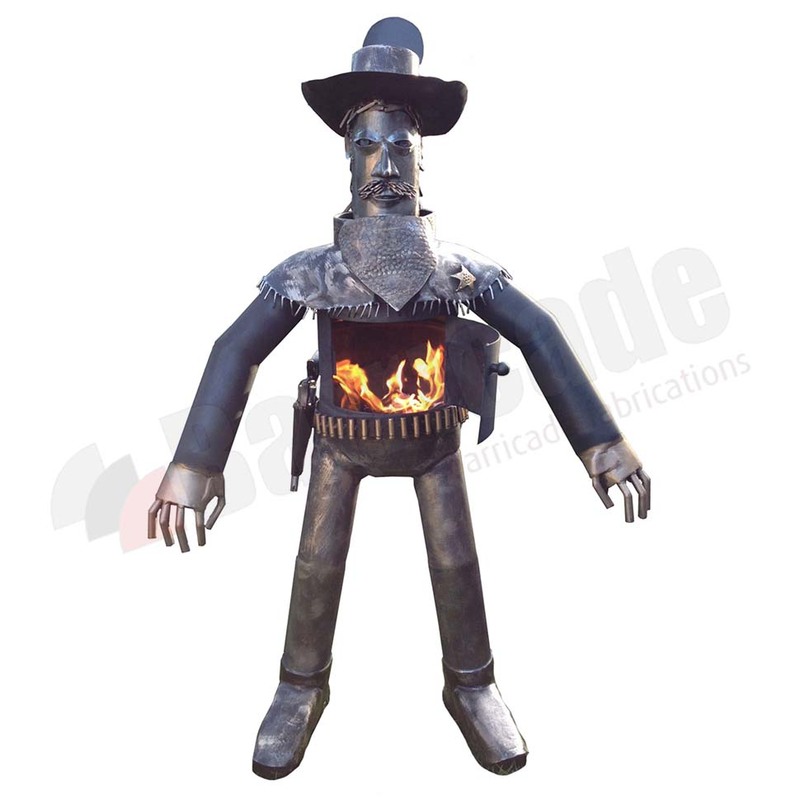 Our range of bespoke log burners and chimineas are incredibly detailed, one of a kind items that are guaranteed to be a talking point at any garden party or barbecue. 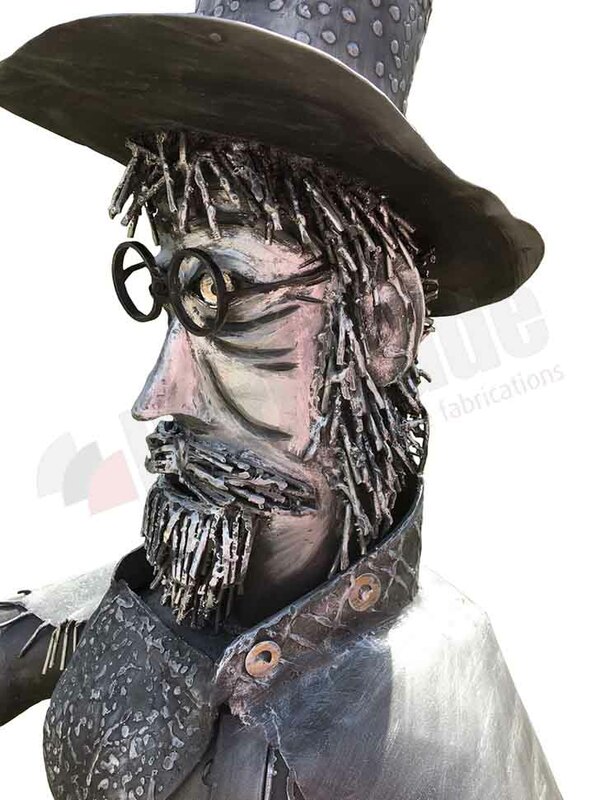 Our fabricators can turn their hands to any bespoke steel project and produce completely unique commissions and sculptures. 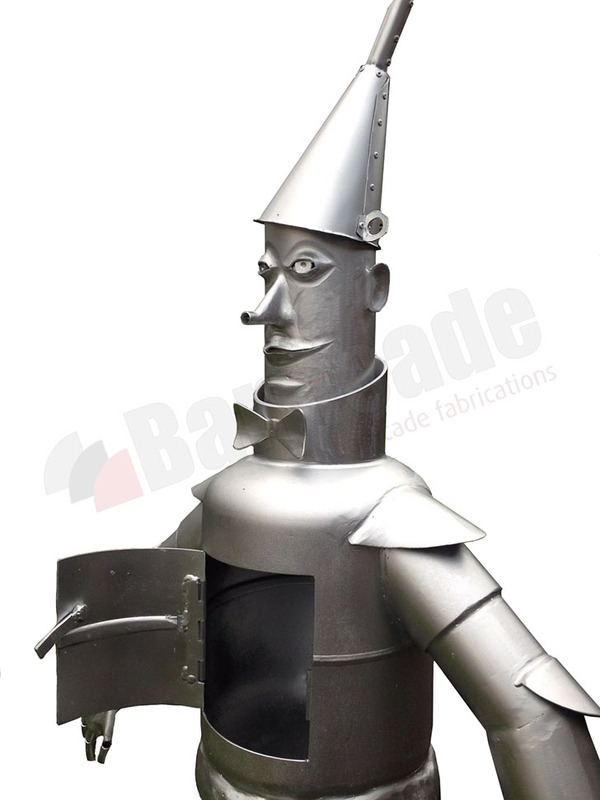 All the log burners are fully functional and made using high quality steel. If you are looking to purchase one of our range of log burners then please give us a call on 0845 9002131, or send us an email to info@barricade.co.uk for more information. 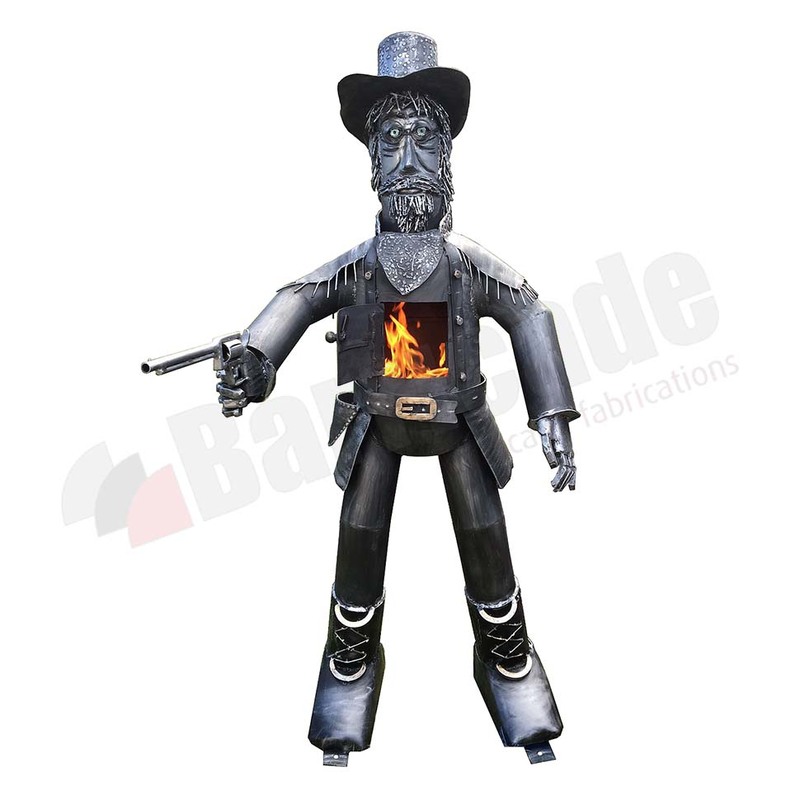 Sheriff log burner with gun belt exclusive to Barricade. 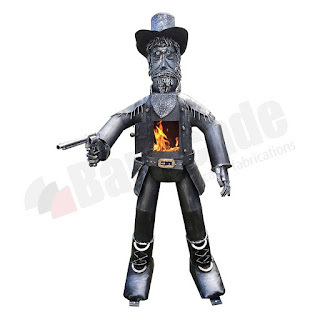 Cowboy with a six-shooter log burner exclusive to Barricade. Close-up of cowboy log burner showing face details. 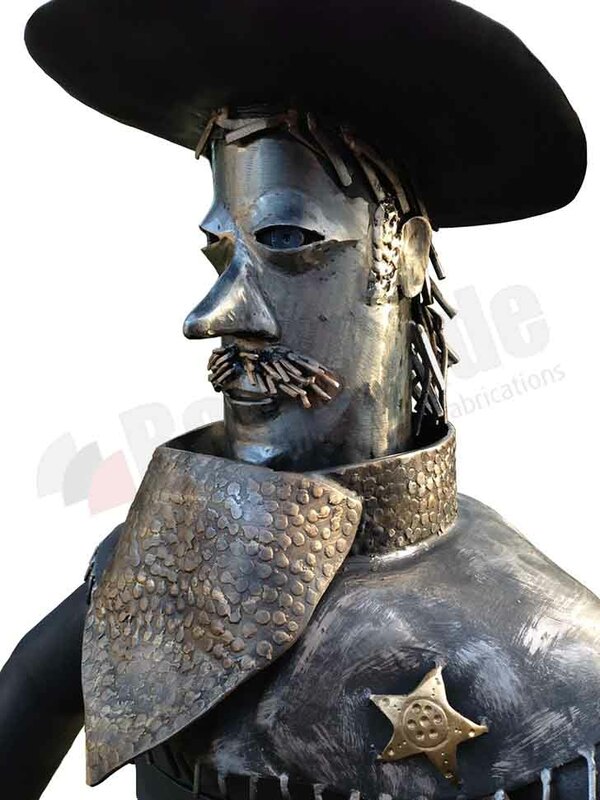 Close-up of Sheriff log burner showing face details. 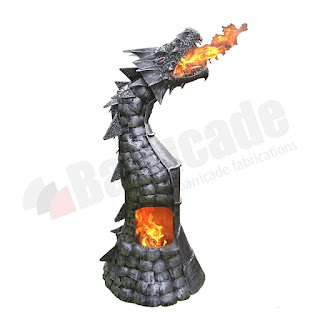 Fire breathing dragon log burner exclusive to Barricade. 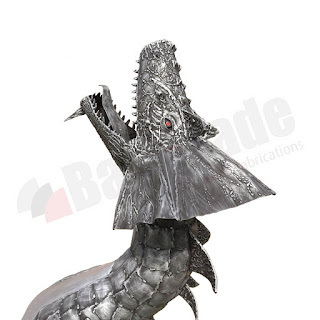 Dragon log burner close-up of head detailing. 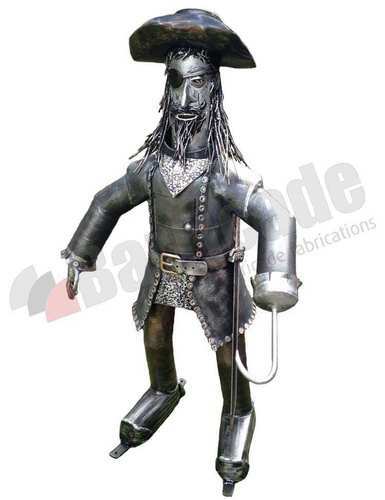 Pirate log burner exclusive to Barricade. Close-up of Tin Man log burner showing face details and folding hat. 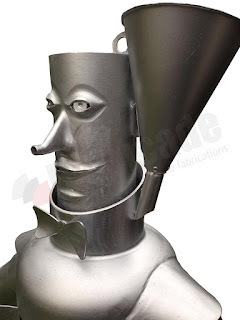 Close-up of Tin Man log burner with open door. 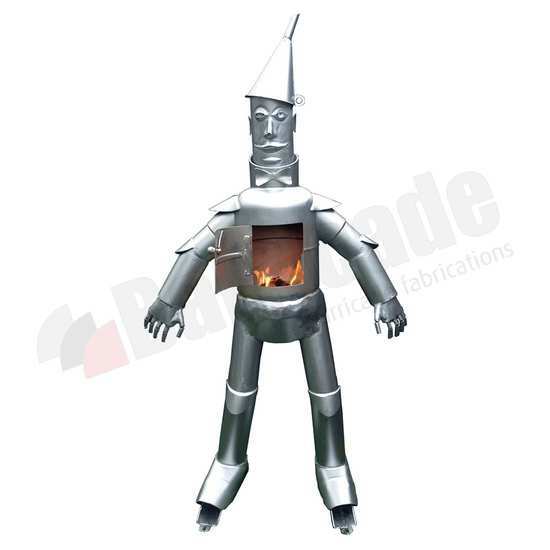 Tin Man log burner exclusive to Barricade. For pricing and availability details on any of our bespoke steel products, please give us a call on 0845 9002131, or send us an email to info@barricade.co.uk for more information.